Some of the interesting things I saw last week. 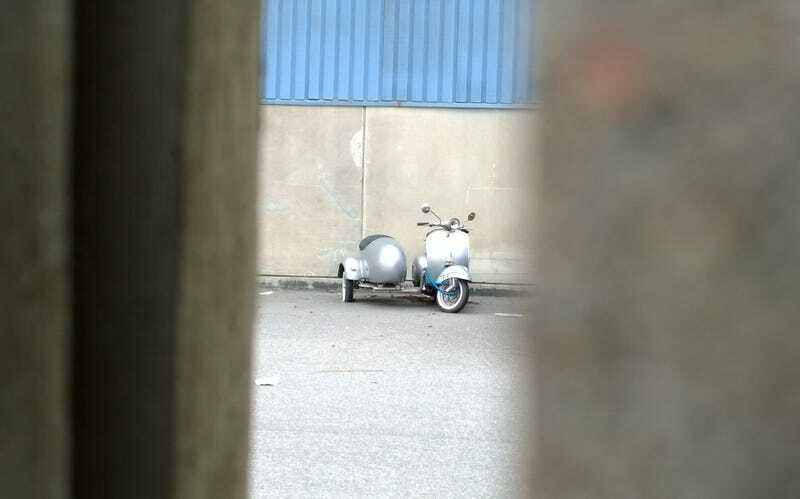 Pictured above, I spy with my little eye: a Vespa with sidecar! Defenders aren’t that rare here (I think I saw 3 of them that day, 2 of which are in this picture). Buick Park Avenues are rarer but they aren’t anything that special. Ones with landau top are practically unicorns here though. Continuing with not so great photography, Volvo Laplander. And to finish things off, a Mini.